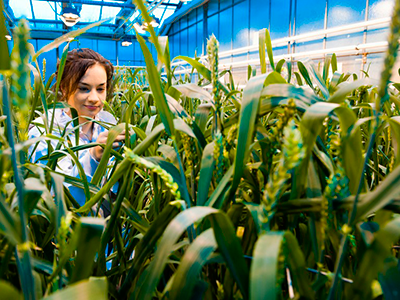 In nationwide 4th place are agricultural sciences with a subsidy of 7.3 million euros. The University of Bonn remains in lead in the competition for research funding. This is confirmed by the now published “Funding Atlas 2018” by the German Research Foundation (Deutsche Forschungsgemeinschaft, DFG), which documents the funding flows of ´ public funding institutions to universities and research institutions in a detailed manner. In Germany-wide comparison of the DFG approval totals, Bonn is in 16th place overall. In life sciences, the University of Bonn was able to expand its position. 85, 3 million euros of DFG funds went to Bonn in the reporting period (2011-2013: 76.0 million). Most of it to Medicine with 60.4 million (nationwide: 9th place). In nationwide 4th place are agricultural sciences with a subsidy of 7.3 million euros. In natural sciences, Bonn takes third place with a total of 64.2 million euros. Every Bonn professor in this area raised half a million euros of third party funding in the observed three years on average. A big part of this funding is aquired by Physics, which received 19.2 million euros in third-party funding in the three-year period (ranked 8 nationwide), and Geosciences, which ranks fourth with 11.8 million. Humanities and Social Sciences at the University of Bonn occupy 15th place nationwide with 13.7 million euros. Social and Behavioral Sciences have a share of 8.5 million euros, of which Economics has the largest share with 13.7 million euros.